The first progression of science they mastered was of gears and cogs. 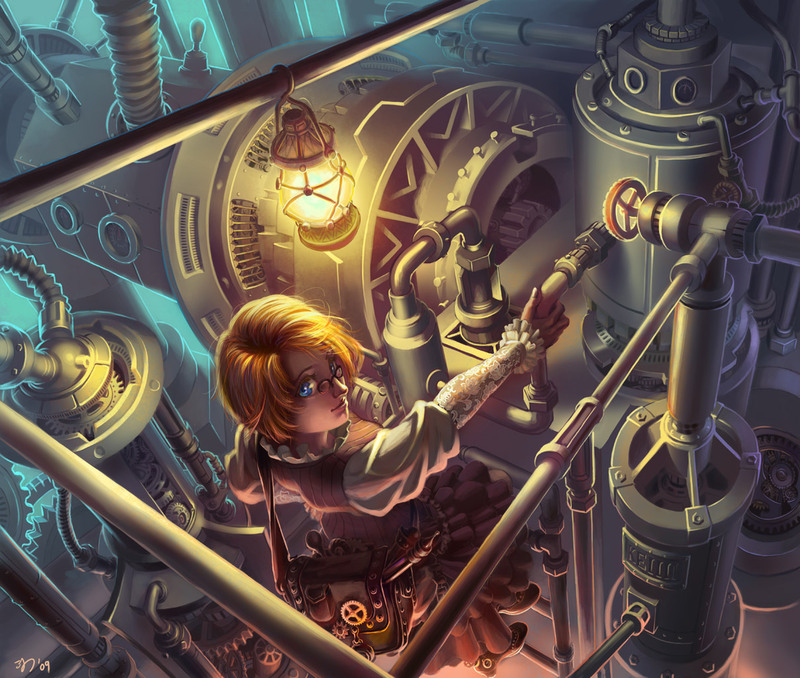 They had to be hand-cranked to set them initially, which could take a very long time, depending on the mechanism, but once they were set, most machines were designed in such a way as to reset themselves once the mechanism ran its course. This feat of dwarven engineering persists to this day, and has grown more and more complex, and less for military means and more for everyday life and even entertainment, as the centuries passed. It moved from a feat of engineering to the realm of the artist after a while. The gears today are so advanced and complex that very few of them require hand-cranking or hand-winding, and when they do it is usually for aesthetic reasons than actual functionality. Most are designed to do it themselves with a push of a button or a pull of a lever. These automatons are very popular in all walks of life, and are found used in nearly every household and Guild today. The second breakthrough of science and engineering the dwarves of Hormak mastered was that of steam. They swiftly learned how they could combine steam and machines, and how altering the pressure exerted on the steam (and the steam's traditional source, magma) affected the power of the device. They were able to design doors with pressure locks, and rideable machines powerful enough to help them cut and drill through stone quickly. This lead them to be able to mine quickly and more safely than before outside of the destroyed Deep Roads for materials. This also gave rise to a new set of specialised Miners and Empiricals— Excavists, which thrive in a space between traditional Miners and formal Empiricals. Excavists gave the dwarves two major breakthroughs themselves: firstly, they freed up more Empiricals to pursue the subtle rise in infertility a few of them had begun to notice, and also in their pursuit of more "pure" knowledge— theories and experiments and so forth. Secondly, Excavists, along with Engineers, discovered the thermodynamic properties of certain types of ores and metals they mined and refined as they ventured out into the rock beyond where their forebears had gone. 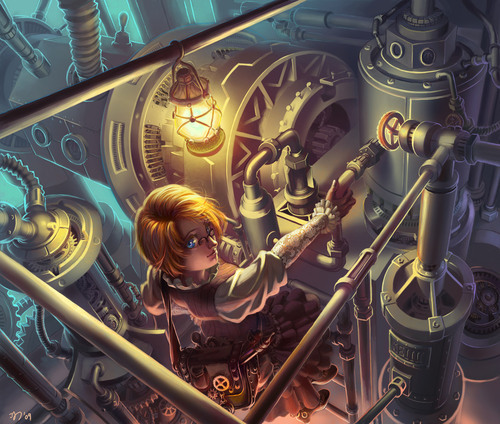 From this discovery, Mechanists were formed from a highly specialised subset of Engineers and Excavists, who took intuitively to how metals could work together to best produce a either a functioning machine or useable energy. This new set of dwarves developed and eventually perfected thermobatteries, and later on, a low voltage form of thermoelectricity. 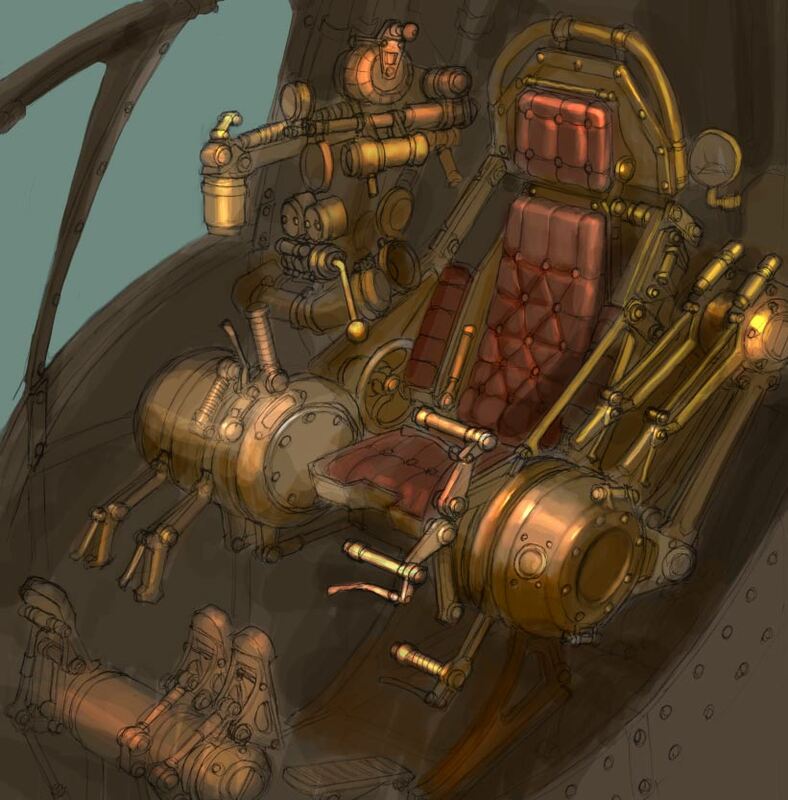 Today, steam power through rotating fan turbines is still the most powerful source of energy they have, as the voltage produced by the thermobatteries still isn't enough to power anything truly large, but Empiricals are still working on improving that, alongside the Mechanists. Ever since the formation of the Excavists, more intellectually-inclined Empiricals have been able to set their minds trying to figure out and address the recent discovery of infertility among the people of Hormak. It was a slow and subtle progression to track, going largely unnoticed until a census revealed a drop in birth rates by nearly forty-percent since the census seven years prior. The most popular theories to date have to do with long-term lyrium exposure, though they don't have as much contact or use it as often as the dwarves of Orzammar, seeing as how they do not need it for trading with anyone on the surface. In Hormak, lyrium is primarily used for its ability to produce extremely hardened building materials. This is, even now, still only a theory in progress, as it is extremely difficult to measure the extreme long-term effects over several generations, especially considering that the short-term effects of lyrium have much more to do with loss of hearing and loss of mental faculties rather than baser, more biological functions. There are several ongoing experiments using nugs and how lyrium may affect the creatures' fertility rates by housing generation after generation of them solely in little enclosures made from high-concentrate, lyrium-enforced blocks (a much higher level than used in dwarven structures to try and quicken the studies), but it is still a slow process. The Empiricals conducting such experiments are not even sure any evidence one way or the other would be able to directly correlate to the dwarven problem, as the nug is not known to be a similar creature. But, they decided they had to start somewhere, and using nugs was better than nothing. Other Empiricals are trying to experiment with varying doses and levels of orichalcum, going off its supposed aphrodisiac properties in the hopes they can either discover or create properties that directly affect fertility rather than mere sexual desire. A few are beginning to suggest fortifying and combining orichalcum and lyrium to see what that does, but most Empiricals are of the belief that the resulting combination would be more disastrous than anything else. Actually experimenting on their fellows is a dangerous, slow process, as they absolutely cannot risk creating something detrimental to their own people, cut off as they are to new population influxes.